A.S. Watson Group (ASW) launched its first-ever Global Smile Campaign in its 10,000+ store network in Asia and Europe, to uplift and promote customer service with a human touch in its businesses. The Campaign kicked off on 18 June by its 100,000 employees across 25 markets at 5pm Hong Kong time (CET 11 a.m.) to”welcome customers with 100,000 smiles”, and providing a pleasant shopping experience. Happiness simply starts with a smile. ASW believes that smiling is a universal language which is one of the most powerful ways of influencing others and relaying happiness. Dominic Lai, Group Managing Director of ASW, said, “With the increasing use of technology in day-to-day communications in every aspect of lives around the world, we are seeing less and less human interactions, be it with family or friends. With our 10,000 store network and over 45 million shoppers coming into our stores every week, we want to provide an extensive platform to give our customers that human touch. Being the largest international health & beauty retailer in Asia and Europe, we want to make a difference. We want to delight our customer with something basic yet magical”. 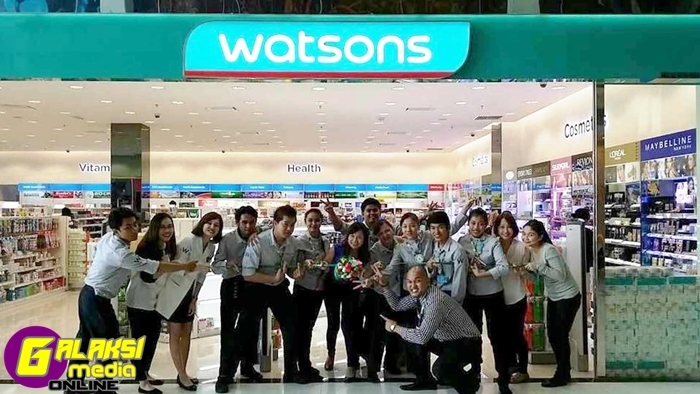 To encourage our staff to bring out their best smiling faces on the shop floors, Watsons Malaysia has take this campaign to the next level by running an initiative campaign to give back to the society. Every smile submitted, RM1 will be donated for a good cause to Rumah Kanak-Kanak Tengku Budriah, Kuala Lumpur; Persatuan Kebajikan Anak-anak Yatim Islam Pulau Pinang Wisma Yatim (Perempuan), Pulau Pinang; Rumah Cheshire Johor, Johor; Rumah Amal Hembusan Kasih Sayang, Kuantan; Rumah Anak Yatim & Asnaf As Sakinah, Sabah; and The Salvation Army, Kuching. This campaign at the same time can cultivate happiness within our staff, and to spread smiles to everyone. This initiative will run on Watsons Malaysia Facebook and Instagram social platform with the #mywatsonssmile and since the initiative started we have more than 13,000 smile photos submitted. To join Watsons Malaysia in this initiative, visit Watsons Malaysia Facebook to submit your smile photo with our store staff(s) or take a smile selfie with our store staff(s) with #mywatsonssmile and Watsons will donate RM1 for each photo. This initiative will run from 1 June to 30 June 2014.